While organizations like the OLPC tried to hit the $100 mark for a netbook PC, India has gone a step further and created a $30 tablet PC. 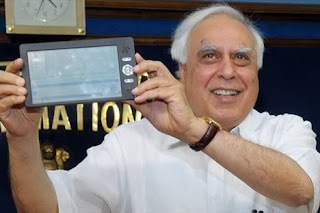 The device, called Sakshat, was unveiled by India’s Human Resource Development Minister Kapil Sibal. It is expected to become available in India next year targeting students. To begin with it will cost $30 and be manufactured elsewhere, but the aim is to get the price down to $10 and have all manufacturing done in India. The device itself has a 10″ touchscreen 2GB of RAM, a USB port, and Wi-Fi built-in. It runs a Linux-based OS and bundled software includes OpenOffice, a PDF reader, web browser, media player, and video conferencing app. Power will partially come from solar panels mounted to the case. We often hear that cheap tablets keep coming from chinese manufacturers but the world’s cheapest Tablet comes from India. Actually the India government are trying to develop a $10 laptop but their experiment result a 7 inch tablet which only priced Rs.1500 ($30). 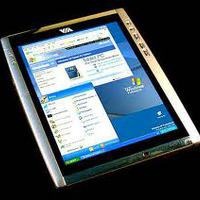 The tablet support cloud computing and Adobe Flash. Lots of free or open source applications also preloaded to the tablet which include Open Office, PDF reader, Media Player and some more. This cheap Indian tablet expected to hit the Indian market starting from next year. Although the device is said to cost $30-$35 to manufacture, the Indian government may subsidize initial shipments by up to 50% taking the cost to student down to just $15.